"Our democracy is not functioning as it should. I believe it is affected by hubris, the arrogance that comes from ten years in power, the politics of fear, nurtured by the so-called 'war on terror' and latent racism." I feel honoured to be with you today to give the prestigious University of Newcastle Human Rights and Social Justice lecture. I know I am following a number of distinguished speakers and I hope to say something worthwhile and meaningful. Given my background in advising governments on foreign, security and trade policy, the focus of my remarks will be mainly on the impact of 11 September 2001 on our Australian society. I nearly declined the offer to speak to you today as I was afraid that having retired as Secretary of the Department of Foreign Affairs and Trade in 1992 and being in my late 70's, what I might have to say would appear irrelevant or outdated; the rambling thoughts of an elderly person out of touch with the post - 11 September world. But I welcome this opportunity. I do not feel out of touch and I care deeply about Australia and its future. So, I decided that, on the basis of having represented Australia for some forty years and still being actively involved in Asian affairs, as well as with our links with the United States, which I have visited on four occasions since 11 September 2001, that I can make some objective observations on the situation in which we find ourselves in the second half of the first decade of the twenty first century. I do claim objectivity because, although I was in the past approached by both Liberal and Labor Prime Ministers to consider standing for election, I declined to do so. In fact I have never joined a political party. This would have involved an obligation to support a particular policy with which I may not have agreed. I preferred to give frank advice. I have during my career worked closely, as an advisor, with seven Prime Ministers, four Liberals and three Labor. Although I had retired I also acted as a special envoy for both John Howard and Foreign Minister Downer after the 1996 election. I do not believe I am constrained by any form of ideology, either that of the so-called "soft left", to which Mr Howard referred in his recent controversial speech at Quadrant's 50th anniversary dinner or the conservative right. Whether one watches the news on television, or reads the morning papers, one is reminded of the catastrophic consequences of some human actions. One thinks of the dangers of intolerance, greed and racism that lurk in those latent atavistic urges, which we have inherited from our dark and distant past. In my lifetime I have seen the rise and fall of the relatively recent barbarisms of Nazism and Stalinism, the inhumanities of World War II, a recrudescence of religious bigotry and racism, the tragic events in Rwanda and Kosovo and, more recently, 11 September, the disastrous situation in Iraq and the ongoing problems in Afghanistan, Lebanon, Sudan, Sri Lanka and North Korea, just to name some. Don't misunderstand me. I believe Australia is a wonderful country, richly endowed with resources and natural beauty. We can be proud of many of our achievements and many of the things we do, such as our compassionate and generous response to the disastrous tsunami in 2005 and the subsequent earthquakes in Indonesia and Pakistan. Australia is a country of enormous opportunity and potential but it is not now the country I represented mostly with pride and always with dedication during my diplomatic career. Whether we take these opportunities and fulfil our potential, or whether we become a land of faded promise, remains to be seen. We can be too complacent and self-satisfied. There is much we should do to make Australia a better and more widely respected nation. Many are shocked that the government has tolerated bribing Saddam Hussein to buy our wheat while, at the same time, preparing to invade Iraq and inflict such devastation and so many casualties on the country and its people. Other widely held concerns include the weakening of our democracy, the excessive anti-terror laws, the propagandist "spin" about alleged successes in Iraq, the cultivation of fear and jingoism, the harsh treatment of so many asylum seekers, attempts to arouse excessive patriotism and the exploitation of the Australian flag to this end, the erosion of support for Aboriginal reconciliation, the undermining of civil liberties, human rights and social justice are all indicators of what Professor Robert Manne of La Trobe University has called "a profound conservative-populist transformation" in this country over the last decade. Australia's future is not simply a matter of sustaining economic prosperity, on which Mr Howard places so much emphasis. Foreshadowing his approach to the political debate leading up to the next election, he asked rhetorically in Sydney on 3rd of this month "which side of politics will be better equipped to maintain the prosperity we undoubtedly have"? But, important as a sound economy is, Australian citizens need to address a range of other issues, including moral and philosophical questions, beyond material comfort. The task of government is not simply to be in government and to stay there for as long as possible. Political party leaders who think mainly of the next election are what were called in the former Soviet Union party apparatchiks. Statesmanship requires a leader to look ahead to a better Australia for the next generation. Sadly, we have too many politicians and too few potential statesmen. A core problem we face is that our democracy is not functioning, as it should. I believe it is affected by hubris, the arrogance that comes from ten years in power, the politics of fear, nurtured by the so-called 'war on terror' and latent racism. The government has also suffered from a lack of the important qualities of patience and humility. This is impacting adversely on the wider community, including in the areas of human rights and social justice. I intend, in this context to touch on the impo rtant issues of the unwillingness of the Prime Minister and some senior Ministers to take into account the more obvious realities of failed policies, reasoned and informed dissent, and the need for truth in government. As I know from personal experience, related mainly to Iraq, the present government tends to treat its critics - even those who have served it in the past - as virtual enemies rather than as possibly useful channels to community opinion. Democracy is not served well if the public service is unwilling to warn the government when it believes an objective or a priority may be unwise or unlikely to succeed. Because of the growth of a culture of conformity and cover-up, I fear that there is a tendency now on the part of public servants to take refuge in the implementation of decided policies, rather than question those that are clearly failing. Throughout my career I have always argued that a key to an effective foreign and security policy is continuous review. Mr Downer, adopting a phrase I used well before he became Foreign Minister in 1996, has said foreign policy should be "judged by outcomes". Well, what are the outcomes of some of his and Mr Howard's policies and their impact on Australia? In considering the state of human rights and social justice we must examine the international context, which is, I believe, making it more difficult now for the ideals, which had largely come to be accepted by the early 1990s, to be sustained. In a decent country, human rights should be an important part of foreign policy. For example, the Hawke government was openly critical of what it saw as violations of human rights, sometimes at a cost to bilateral relations. Human rights and social justice suffer in a climate of war and fear. In 2006 our established ideals of decency, fairness, tolerance, justice and truth in government are under challenge. What has gone wrong? At the root of a series of related problems, which have arisen since 2000, lies the Howard Government's decision to link its foreign and security policies so closely to those of the Bush/Chaney Administration even before 11 September. The aim of foreign and defence policy is to make Australia secure. Ironically some of our policies have placed Australians at greater risk. The Bush Administration, or the group that had the most influence over the President during his first term, wanted to change the world; to reshape it in its own political, economic and moral self image. The blueprint of how this was to be done was set out in The Project For a New American Century. This was launched in Washington in 1997. I had retired from the Department but I understand Australian officials did not take much notice of this "project" then because it was seen as the work of a small conservative group of opposition Republicans during the Clinton Administration. But with the election of George W Bush, this group known as the neo-cons moved from a fringe group to an influential force in shaping American policy. They were the advocates of a messianic internationalism and real-politic, rooted in America's interests - but not necessarily in Australia's interests - which has driven United States policy before and especially since 11 September. At the same time the Australian Government had decided - in the spirit of the Commonwealth Bank's former advertisement "to get with the strength" - to link Australia's security and commercial interests even more closely with the then pre-eminent global strength, namely the United States. Unfortunately for Howard and Downer, the neo-con dream of a new era of American supremacy in which American ideas and ideals would prevail, imposed by force, if necessary, involving the removal of "evil" regimes, pre-emptive war, global democracy and the need to remove weapons of mass destruction from "rogue states" - which coalesced into the socalled Bush doctrine - have progressively faded in the face of the realities of a war gone predictably and disastrously awry in Iraq, a continuing fall in domestic support for President Bush and an acute deepening of America's partisan political divide. I was in Washington in July 2002. I recall attending a briefing at the White House by Vice President Cheney and it was clear to me then that the United States had decided to invade Iraq, using 11 September and an alleged but false connection between Iraq and al Qaeda as well as the supposed possession of weapons of mass destruction as justification. Two day after 11 September 2001, Mr Howard said he had indicated to President Bush that Australia would provide "all the support that might be requested of us by the United States in relation to any (my emphasis) action that might be taken". Indeed he did. The United States, the United Kingdom and Australia, having made such a catastrophic foreign and security policy blunder, are now trapped in a dilemma of their own making. To withdraw precipitously could lead to even greater chaos in Iraq. To attempt to "stay the course" and "finish the job" will only continue the bloodshed, energize the terrorists and Jihadists, including in our own region, and further erode America's international standing. As the New York Times noted in an editorial on 11 April 2004, staying the course can be "noble when the course is right"; when the course is wrong " perseverance for the sake of perseverance is foolish". The starting point now must be to acknowledge the original and present errors and to decide on the most appropriate exit strategy from the appalling situating in which we chose to involve ourselves. Our present position is hypocritical. If the "job" is to create a functioning democracy in a reconstructed Iraq, then our contribution is minimal and essentially symbolic. To attain the stated objectives - even if they can ever be obtained - would require a much larger Australian force commitment and billions of dollars in aid. Elections in highly volatile situations can in fact result in reversing progress towards democracy. An election rarely resolves longstanding ethnic or religious divisions, particularly in situations of conflict, such as exists in Iraq. To take root, democracy needs to evolve in a functional state with adequate security. Ultimately, the problems of Iraq must be solved by the Iraqis themselves. A solution cannot be imposed externally by the Bush Administration, aided and abetted by the Blair and Howard Governments. I am not prone to quoting Bismark but I recall his comment: "Woe to the statesman whose reasons for entering a war do not appear so plausible at its end as at its beginning". On the issue of truth in government, I believe that those elected to the Australian Parliament have an obligation to speak the truth in the House of Representatives and the Senate. Those who mislead the people and who feed them a diet of "spin" and cover up, both tarnish their own integrity and dishonour the institution of Parliament. Truth in Government is a cornerstone of the Westminster democracy we have inherited and adapted to our own Australian conditions. Our political leaders would do well to remember the words of the Chinese philosopher - poet Lao Tsu, who wrote 2000 years ago about leadership, "fail to honour the people and they will fail to honour you". As the disaster in Iraq becomes ever more obvious it is tempting to say, "I told you so". But it is too serious for that and I derive no pleasure from being correct in my judgement more than four years ago when I argued strongly against Australian involvement in the planned invasion of Iraq. You may also recall that a group of 43 former Service Chiefs, Heads of Departments, including myself, Intelligence Chiefs and former Heads of Diplomatic Missions also argued in August 2004 that our involvement in the invasion in Iraq was a mistake and called for the restoration of truth in Government regardless of whether the Coalition or the Labor Party won the election later that year. A good example of the dissembling I have in mind was when John Howard said in July last year that the London bombings had "nothing to do with Iraq". These were not random explosions, which might have occurred in Auckland or Oslo. They were a specific attack on the Blair Government for his whole-hearted support for the Bush Administration's policies and, especially the decision to join in the invasion of Iraq. Howard's "spin" was intended to obscure from the Australian people the truth that his policies had increased - not decreased - the risk of a terrorist attack in Australia and that they had placed this country in a similar situation to the United Kingdom. At the time of the riots in Cronulla, Mr Howard said, there is "no underlying racism in this country". We all know that there are currents of racism in Australia, which our political leaders should recognise and take the lead in resisting. The debates about "cultural" and "history wars" and about values earlier this year are used as distractions from important present policy issues such as Iraq, climate change, drought and interest rates. The values debate is really an unsubtle political attempt to emphasise cultural differences at the expense of community harmony, inclusiveness and tolerance. The Government - and the Opposition - should take the lead in distinguishing between a necessary level of vigilance against possible acts of terrorism and the temptation to use crude popularism and xenophobia for political advantage. A problem for Australian democracy - perhaps all democracies - is the compulsion to justify even mistaken policies rather than admitting errors for fear of loosing electoral support. As Socrates noted in ancient Greece- the cradle of democracy - a misled majority may support undesirable policies. In modern times hired public relations advisors and "spin doctors" are often paid to mislead the public about the real outcomes of government policy. In Washington, Administration spin-doctors for example now call body bags "transfer tubes". The use of phrases like "defence of freedom and democracy" to mask unsavoury events is commonplace. Unavoidable policy adjustments are now described as "the construction of new realities"! In a democracy, disinformation, evident in the "children overboard" affair, should never be used as a tool for government briefing arrangements if public trust is to be restored. Obscuring the truth, discrediting individuals who do not agree with particular policies and what has been called anti-intellectualism - as if well-educated thinking people who may oppose a Government policy are out of touch with realities - the myth, not yet completely dispelled, that the Prime Minister is the sole repository of wise judgements and sound decision making, combined with a compliant public service and a strangely apathetic and detached wider community are all factors, which threaten the health of Australian democracy. Our civil liberties are also being undermined in the name of protecting us from terrorism, through the inflation of the terrorist threat and excessive political exploitation of fears, which the government has itself generated. It is ironic that the draconic laws against terrorism are in part the outcome of the government's own policies, especially our involvement in Iraq. The Liberal member for Kooyong, Petro Georgiou, who can hardly be called a member of the "soft left" has strongly criticised his government's discussion paper on Mr Howard's planned citizenship test. He has also warned that the Liberal Party's traditional support for social justice - once a corner stone of the Party's philosophy - is now under threat. He argued as well that trying to stifle dissent and denigrating parliamentarians who differ from a party policy on principal is "antithetical to the values of the Liberal Party". I do not know whether David Hicks is guilty or innocent of charges related to terrorism. 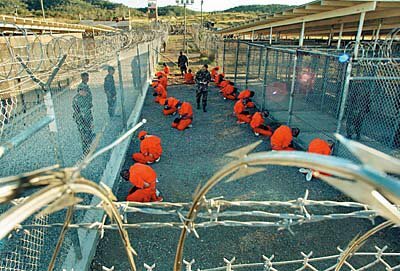 It is, however, damaging to Australia's reputation that an Australian citizen has been rotting in Guantanamo Bay for nearly 5 years without trial. It has taken his American Army lawyer, Major More' to argue that he cannot receive a fair trial before an American military commission and a British judge to state that the long detention and proposed trial of Hicks is contrary to the rule of law. Former Chief Justice, Sir Gerard Brennan, has said that the Australian Government's supine acceptance of the situation "shows we are morally impoverished", adding that an "Australian citizen's right to justice should never be a mere trading item in international relations". Mr Howard argues that acts of terrorism such as the 11 September attacks on New York and Washington and the Bali bombings in 2002 preceded the invasion of Iraq, proving that we had to fight terrorism before the invasion of Iraq. No one disputes this but it ignores two essential facts. Firstly, the invasion of Iraq and its continuing occupation have raised Australia's profile as a terrorist target and, secondly, massively accelerated terrorist activities in Iraq itself. On recent visits to Indonesia, Ministers have made it clear to me that one of their main reasons for opposing the invasion of Iraq was that it could assist Islamic extremists, not only in Indonesia but elsewhere in South East Asia, in their attempts to recruit supporters. Despite the damning NIC estimate and the revelations in Bob Woodward's recent book, State of Denial, Mr Howard still seems unable to bring himself to admit the obvious. The Iraq war has been a disaster and has substantially increased the terrorist threat Mr Howard said it would reduce. Moreover, it has assisted Iran in its objective of becoming a major influence in the Middle East. This is a development the United States has sought to prevent, including by its support for Saddam Hussein during the Iran/Iraq War in the mid 1980s. Apart from growing internecine and sectarian violence, much of the present violence is directed against the continuing foreign occupation as the Head of the British Army, since last August, General Sir Richard Dannatt said on the 13th of this month. Only a few days ago, the former Chief of the Defence Force, General Gosgrove, added his voice to the many who now acknowledge the inconvenient truth that the occupation of Iraq has energised the Jihadists. I believe that in stirring up fear the terrorist crisis has been exaggerated. Terrorists will never be able to destroy Western civilisation, as has been suggested. The real threat to our values and our civilisation comes more from the use of fear to justify restrictions on our civil liberties. We are told we are at war and must therefore make sacrifices even though no Australian has been killed by terrorism in Australia. The action of all terrorists, including Islamic extremists, simply cannot be compared with the threat of communism during the cold war. We also need to differentiate between the various movements, which tend to be lumped together in the war on terror. For example, Hezbollah, which has never attacked the United States and is in part a resistance movement along with Hamas, al Qaeda, Jema'ah Islamiyah, the Basque separatists in Spain, the Tamil Tigers in Sri Lanka are all pursuing different objectives by the use of terror. Recent visitors to New Zealand have told me that, while the authorities are vigilant about possible terrorism, the atmosphere there, compared with Australia is much calmer, more pleasant and without a cmparable erosion of civil liberties. We also need to draw a much clearer distinction between Islamic extremists and Muslims in general. To the extent that they follow their religion, most Muslims are good Australian citizens. They tend not to gamble or drink alcohol and are family and community minded, particularly within their own ethnic groups. Many Muslims in this country have shown themselves to be civic minded and grateful to Australia for providing a new home for them and for giving them freedom, including religious freedom, which they may not have enjoyed in their countries of origin. It is not enough to be critical. The real question is how can we make Australia a better place for our children? While we once saw our assets in terms of our agricultural and mineral resources, we now live in a globalised world in which Australia's most valuable assets are the skills and knowledge of our people. Education, therefore, should be the government's highest priority in shaping the future. We should waste less public money on defence against unspecified threats and spend more on education, research, health and the conservation of our environment and water resources. Many of our "best and brightest" study law and finance because the rewards are higher but where the contribution to the wider community may be less than comes from other areas such as science, medicine, the arts and engineering. The study of these latter subjects should be made more attractive. If we look towards a better Australia in the future I would like to add a few words on the need for an Australian Republic. This is not just a constitutional question. It is a development that is overdue but which has always been opposed by Mr Howard and Mr Downer, although firmly supported by their younger political colleagues, such as Peter Costello and Malcolm Turnbull. I also believe that this subject is relevant to the debate on Australian values. While there is argument about what values should be recognised, there is general agreement that they should include the concept of a "fair go", that is equality of opportunity, religious tolerance and gender equality. Let me make three points. Australia's Head of State occupies the British throne on the basis of heredity, not merit. The Monarch must also be an Anglican, which contradicts section 116 of our own constitution that states, "no religious test shall be required as a qualification for any office or public trust under the Commonwealth". Thirdly, preference for a male descendent over a female is mandatory. A Republic would put an end to these outmoded restrictions on our Head of State. Is it not, as Mr Howard is prone to say when confronted by an embarrassing political situation, "time to move on"? Of course it is. Institute in Canberra, the theme of "social cohesion" and the need to celebrate our "cultural diversity". He was doing so through the lens of strengthening our security in the face of the terrorist threat. In fact an Australian Republic would serve both objectives. I find it difficult to understand how Mr Howard seems unable to accept that a Republic, with our own Australian Head of State, would strengthen our social cohesion. Equally, it would reflect more adequately our cultural diversity as for an ever-increasing number of Australians, the English Monarchy is of no or of decreasing relevance. The Republic can become a focus and a rallying point for all Australians, whatever their ethnic backgrounds, not just those of Anglo-Celtic origin who represent a steadily declining percentage of the Australian community. I have no doubt that a Republic is the next logical step in our constitutional evolution. It should have occurred at least seven years ago. The 1999 referendum was a tragic lost opportunity to take the next great step forward, following federation itself, in the unfolding history of this nation, namely that of consolidating Australia's distinctive identity, both within our own community and for the rest of the world. I believe there is too detached an attitude to matters of real public importance including the impact on foreign, security and anti terrorist policies, on human rights and social justice. Perhaps this detachment stems from the strong economy, which Australia enjoys. Perhaps it is because of our great focus on sporting achievements reinforced by a benign climate and a coastal beach culture. Perhaps, in what we like to refer to as our robust democracy, many people are reluctant to challenge government policies publicly for fear of being disadvantaged in their careers or of having their contacts with government reduced or cut off. Perhaps it is because those Service men and women directly involved in Iraq and Afghanistan, except for the relatively small number of families directly affected by terrorist activities, are far from our shores. Perhaps it is because the trouble spots, except for Indonesia, East Timor and the Solomon Islands, are also far away from our shores. Perhaps public apathy and detachment is due to good fortune in that, unlike the United States and the United Kingdom, we have not suffered a considerable number of casualties in Iraq. Perhaps it is a mixture of all of these factors. But, whatever the reasons Australia's best interests are not served if the wider public is apathetic towards issues of national importance. I also hope that Australia will be more involved and play a constructive role in the United Nations, including in supporting human rights and social progress. In our approach to the UN we should we should accept that the menacing alternative to a rules based international order and the settlement of disputes by negotiation is in all likelihood a return to unrestrained power politics. Actually, efforts to reduce poverty, disease and terrorism and to strengthen human rights and social justice - nationally and globally - are not only imperative, they are mutually reinforcing. It is for a new generation of forward looking men and women to carry the torch for the consolidation of fair, tolerant, just, multi-ethnic democracy in a proud, distinctly Australian Republic. The thought I would like to leave with you today, particularly the students, is that you can have an influence on important moral and political issues if you involve yourselves. We still live in a country of great potential. So, sustain your interest and determination to make Australia a more decent, less afraid, less mean, less narrow-minded, more generous and a more compassionate society. Dedicated individuals and institutions, including our universities, can make a difference and influence even stubborn governments over time.